To use: just fill your bathtub with hot water above the highest jet. 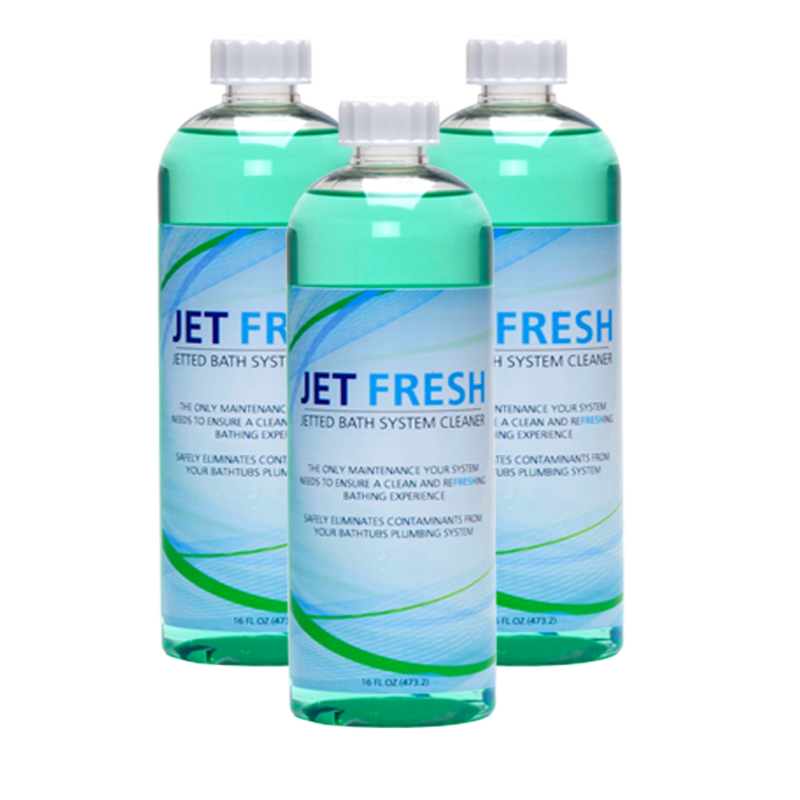 Next, turn the bathing system on and add 2 ounces of Jet Fresh to the water and then, let the system run 5-15 minutes. After the allotted time, drain the bathtub and use a soft cloth or sponge with soap and water to clean the surface. Next, rinse the tub out well and pat the surface dry.